Fur-ments — Using vegetable scraps to increase the health and vitality of our pets. We have always been interested in keeping our pets healthy without using harsh chemical wormers. One strategy is to make sure that they get veggies in their diet for the fiber that helps keep their digestive tract less susceptible to worms. Our go-to natural preventives have always been garlic, diatomaceous earth and pumpkin seeds. Pumpkin seeds have never been popular but when we grind them in with the fur-ment, that picky pup, doesn't notice. 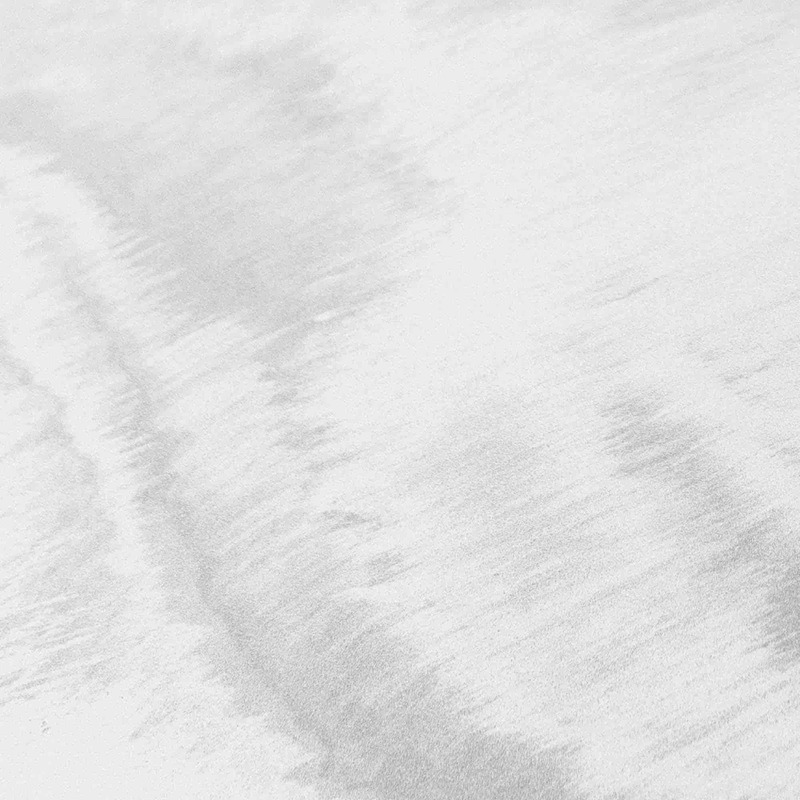 Diatomaceous earth is tricky because it is light powder and it is extremely important that they don't inhale it—again you guessed it—easily solved by mixing the dose in a the wet fur-ment. We do ferment the garlic straight into our ferment as our animals have had great results with garlic doses, but because Noel doesn't recommend alliums we suggest you work with your vet to decide if garlic is right for you. Finally, isn't the word fur-ment perfect. Noel shared that it was Sandor Katz who came up with the spelling. Noel was taking a class from him in the early 2000’s at the Organic Growers School in Asheville and told Sandor about feeding pets ferments at which point he coined the word FUR-ment. Without further ado, here is Noel's process. 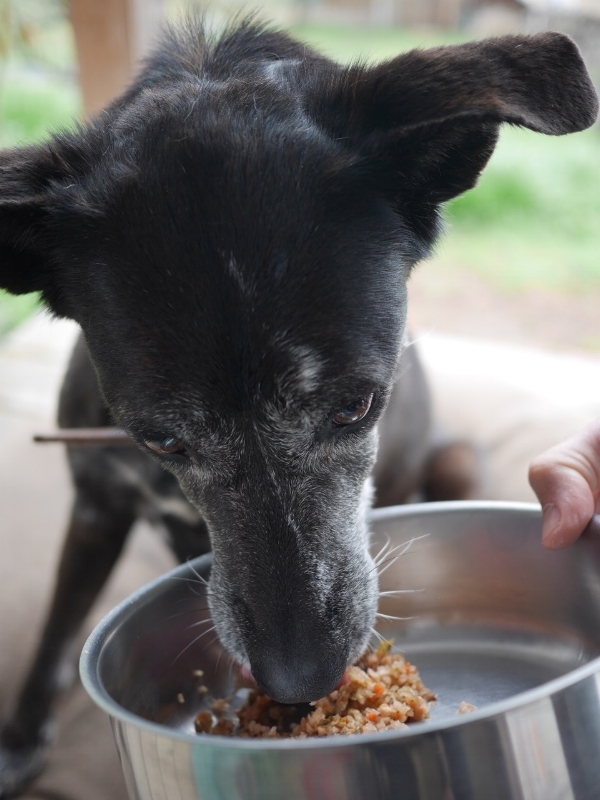 If you are reading this it is because you want to ensure that your dogs and cats receive optimal nutrition: fermented foods are one of the very best ways to support good gut health, thus vitality. It is no secret after the past decade of extensive gut biome research that the gut is the key to a strong immune system and a happy mind. So how to get those beneficial bacteria into your pet? Easy: fermented vegetables—in an application we’ll call fur-ments. I have created a new way to craft fur-ments using the scraps of food one would either discard or compost. This is the ultimate in up-cycling food from your quality, preferably organic, vegetables. This not only keeps these ‘wastes’ out of the landfill, but provides a nutrient-dense and fiber-rich ‘vitamin pack' for one’s pets. Dogs and cats have been coexisting with humans for thousands of years and have always been there to consume our ‘leftovers’. Fur-ments are a great way to enhance your pet’s diet with vegetable nutrients, necessary fiber and probiotics. The focus here will be vegetables from the cruciferous family, root peels and low glycemic vegetables. I choose not to include those from the nightshade family: white potatoes, tomatoes, peppers and eggplant - as these tend to be inflammatory with less nutrient dense peels and skins. No alliums or sugary fruits, either. Once warmed to room temp, I salt with Redmond’s Real Salt as if I were serving to one who likes a lot of salt on their salad and mixed to ensure even salt distribution. General rule of thumb for a ferment is 1 teaspoon of salt per 1 pound of veggies. It is IMPERATIVE you use a natural salt, one that is not filled with additives, especially anti-caking agents. Otherwise your fur-ment will not ferment. Other options are Celtic or Himalayan Sea Salt. A rainbow medley of low glycemic veggies, chopped & ready for grinding in a food processor. Next step is processing. A trip to the food processor creates a chunky mass. You will see a brine and that elixir is good! Veggie scraps chopped in the food processor and salted, now ready to mix and pack. I tightly pack a wide mouth quart jar and have place a cabbage leaf on the top of the ferment to ensure the mass stays below the brine. You are creating an anaerobic [no oxygen] environment. I use Pickle Pipes to allow the carbon dioxide to escape. One can also use a canning band and lid but then you must ‘burp’ the jars daily. Let sit at room temp out of direct sunlight for 3 days. Best use a plate under the jars to catch the juices in case you get a really active ferment. Once a day it is a good idea to push the pulp back down to keep it well packed: this food is alive! One can then place the jars in refrigerator, replacing the pickle pipes, if used, with lids. The fermentation will continue but just slower at the cooler temps. This nutritious blend is now vibrating with vitality for your pets. Daily dose: 1 teaspoon per every 20 pounds of dog. Cats need just a pinch. If you are new to fermentation, check out the free fermentation ecourse on this site, or see the Shockey's must have book. Also please visit this Canadian site link for easy-to-follow guidance for ensuring your pet’s ferments are perfectly crafted. Expert reviews of fermentation products as well. Holly Howe’s site is clear, simple and addictive! The Canadians at Dogs Naturally Magazine wrote a beautiful article on explaining the importance of supporting the gut biome in your dog and how to do such. Karen Becker DVM gives an explanation on her Mercola Healthy Pets blog of how to introduce ferments to your pets and the dosage, for both dogs and cats. Never hesitate to ask questions: I want you to succeed. Here’s to wild fur-mentation for you and your pets! Here is a look inside the pages of our new book Fiery Ferments which is available for preorder. Make your own fermented pepper mash—the first step to many a delicious hot sauce. What is a fermentation airlock and should I use one? In fermentation an airlock is a set up that allows the carbon dioxide gas created as the bacteria break down the sugars and starches to escape the fermentation vessel, without letting new air into the environment. There are many ways to achieve this airtight environment and it often involves a bit of water. The ceramic water-seal crocks were likely one of the first ways that humans figured out that a simple ring of water would trap the air. These systems take most of the babysitting out of the curing time during the fermentation. We admit to setting ferments in their air lock topped jar and forgetting them—with delicious results. That said, its only fair that you know all ferments have a mind of their own (just like kids). So while you think they are safely sleeping in bed, they just might be under the covers reading ghost stories with a flashlight. Then they get scared and there is a whole lot of excitement…same with the microbes. If your ferment is particularly active and your jar is particularly full this moving brine may just bubble right out of your ferment. When the ferment appears to be “making” brine what is really happening is it is expanding due to the trapped carbon dioxide. This movement in the brine is sometimes called a “heave” or a “surge.” Therefor weights are another important piece of the worry-free ferment as they help keep the veggies in place during the most active phases of fermentation. We have found out ferments are infinitely more successful if we manage the air pockets. Even if the oxygen is not present and the vessel is completely sealed in these pockets the flavor can have a bitter quality if they aren’t pressed down. 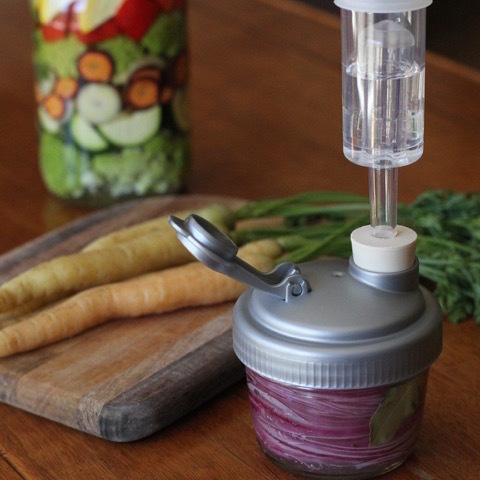 This brings us back to using small weights or simply opening your ferment as needed to press the veggies back down under the brine (with a clean utensil) before sealing it up again for more fermentation. So, the second part of the title—should you use an air lock? We hope we have given you some information to help you decide. 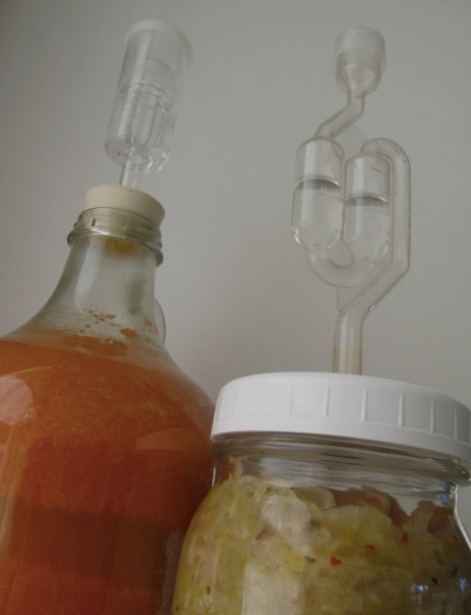 Kirsten collaborated in December with Mara Rose of Hatchlab.net in reviewing four fermentation systems. In this project we reviewed the systems but also gave you a peak at the folks who designed them.